There is a lot of science used in the art of brewing beer. The formula for this beer was developed by award-winning craft brewer Joe Latimer. 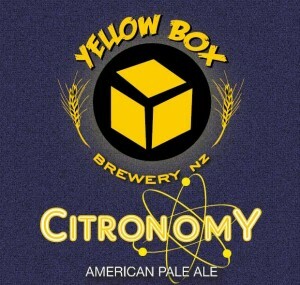 He coined the term "Citronomy" to describe the fusion of art and science used to create a Pale Ale that showcases the zesty grapefruit, lemon and lime hop flavours and aromas he adores. We'd like you to make up your own mind, so pop the top, give a steady pour, and enjoy the fruits of Joe's Citronomy!